Qdoba Catering Cheyenne: Throw a Party the Easy Way! 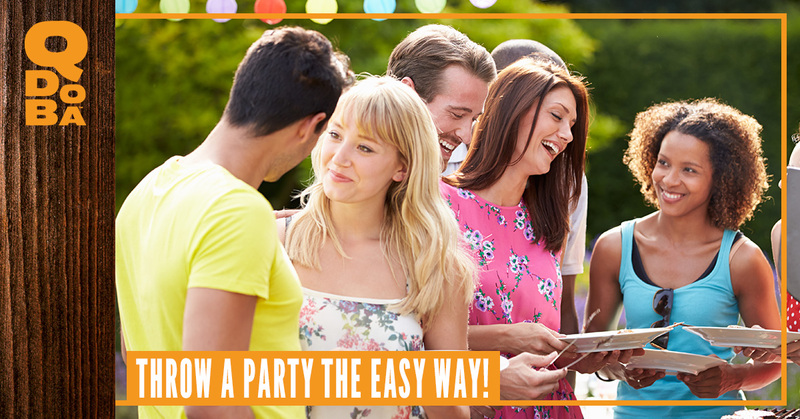 Throw a Party the Easy Way! Summertime in Wyoming and Nebraska is a beautiful thing. The heat and arid conditions are a welcome relief from the long winters. We relish the chance to let the heat soak into our bones and to tube down chilly snowmelt rivers. One more thing summers bring is outdoor parties. Once you are in the shade or after the sun goes down, it’s time to get together with friends and family. What better time to avoid the hot labor of cooking and call Qdoba catering than summer? Everyone has their favorites when they dine-in at Qdoba, and this is your chance to get it delivered to you wherever you are and to share it with your friends and family. We have Hot Tacos Bar, Hot Naked Burrito Bar, Hot Nacho Bar, and even Breakfast Burritos! Order the Hot Taco Bar, and everyone will have the choice between soft or crispy taco shells to fill with delicious Mexican Eats! Your guests can choose from marinated grilled chicken or marinated grilled steak as the meat foundation for their taco. They can layer the meat with one of our three delicious salsas (or their own custom combination), sour cream, lettuce, cheese, and, of course, our hand-smashed guacamole! It’s so hot that even the burritos are ready to jump into the river! Ok, maybe not, but they are ready for you to dive into them and enjoy the scrumptious personalized burrito filling of your choice. A Hot Naked Burrito Bar lets you fill your bowl with burrito ingredients of rice, beans, meat, salsa, sour cream, cheese, and the best guacamole in Northern Colorado! We provide catering services for southwest Nebraska and southern Wyoming. Call today, and we’ll set up your catered meal with all the fixings whenever you are ready to enjoy the great summertime outdoors!